How to get your media straight into your account from your iPhone! 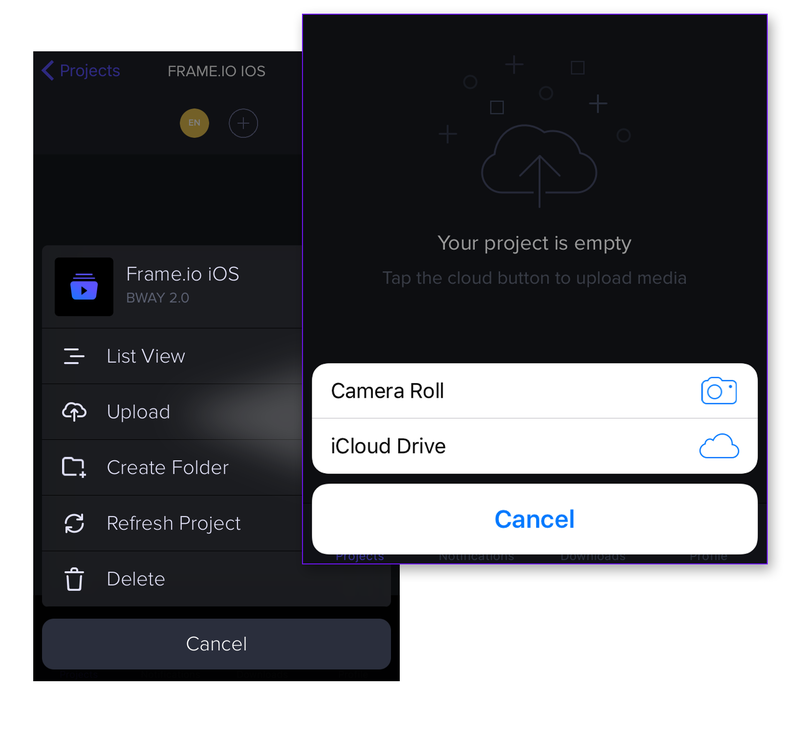 The iOS app allows you to upload media directly from your camera roll, iCloud Drive or any other third-party storage providers you have connected (like Dropbox and Google Drive) into a project. To do this, select the three dots on the top right hand side of your project, tap "Upload" and then choose an upload method. You can upload multiple files at a time by selecting them and then choosing "Done" on the top right.